Like so many people around the world, New Zealand, especially its Muslim population, has been constantly on my mind since the news of last week's terrible shooting in Christchurch. 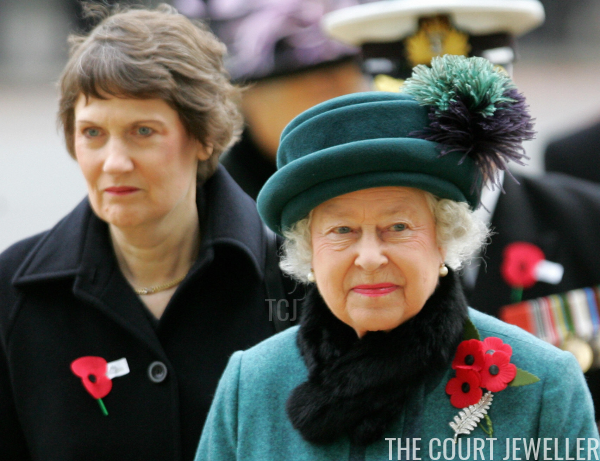 Today, I'm dedicating our usual Sunday royal brooch post to a jewel featuring a symbol important to Kiwis: the Queen's Silver Fern Brooch. The diamond and platinum brooch was presented to the Queen by Lady Allum, wife of the Mayor of Auckland, on behalf of the women of Auckland. Lady Allum gave the brooch to the Queen at Government House on Christmas Day 1953. 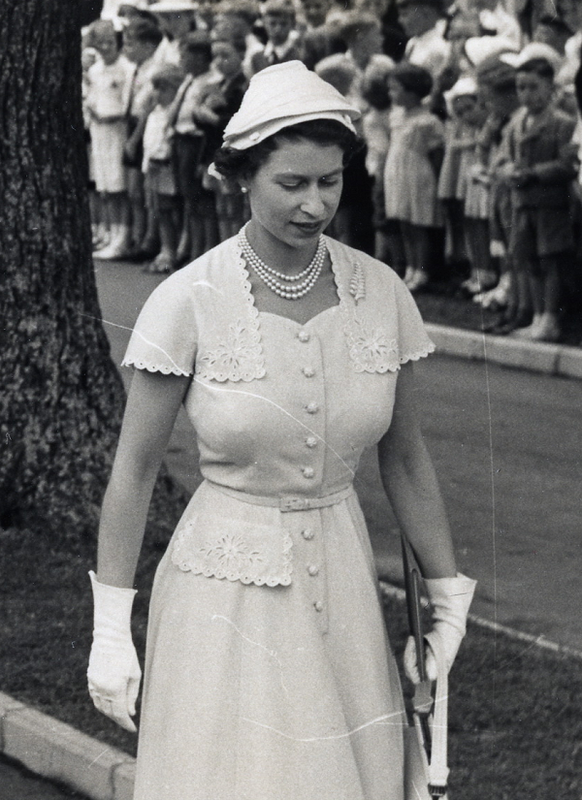 Above, you'll see HM wearing the brooch at St. Mary's Cathedral in Auckland on the very day she received it. Hugh Roberts notes that the Queen was "delighted" by the gift. Here's a close-up that gives a decent view of the brooch's depth and intricacy. 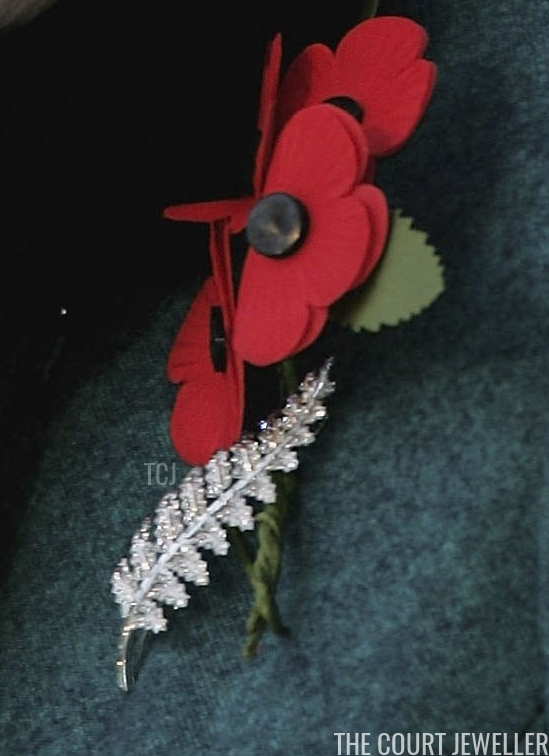 Roberts describes the brooch as "set with brilliants and baguettes as a frond of the silver tree fern," which is "one of the most important and widely recognized national emblems of New Zealand." 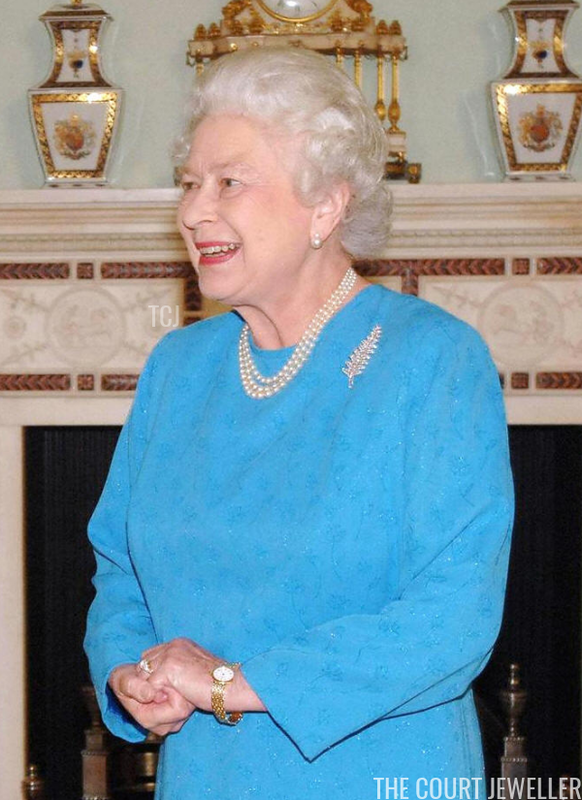 The Queen, pictured above in 2006, often wears the brooch for visits to New Zealand and Kiwi-related events. 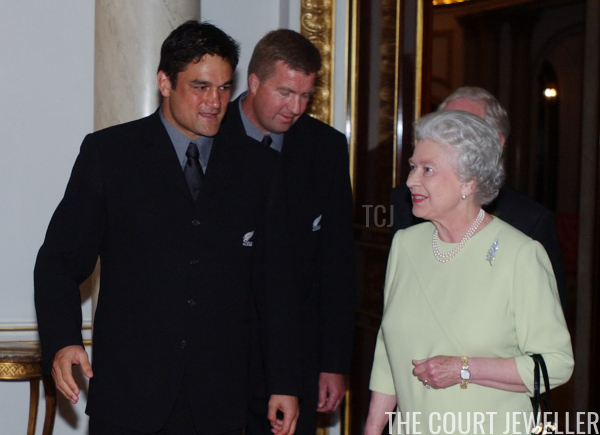 Above, she wears the brooch as she hosts an afternoon tea for the All Blacks at Buckingham Palace in November 2002. 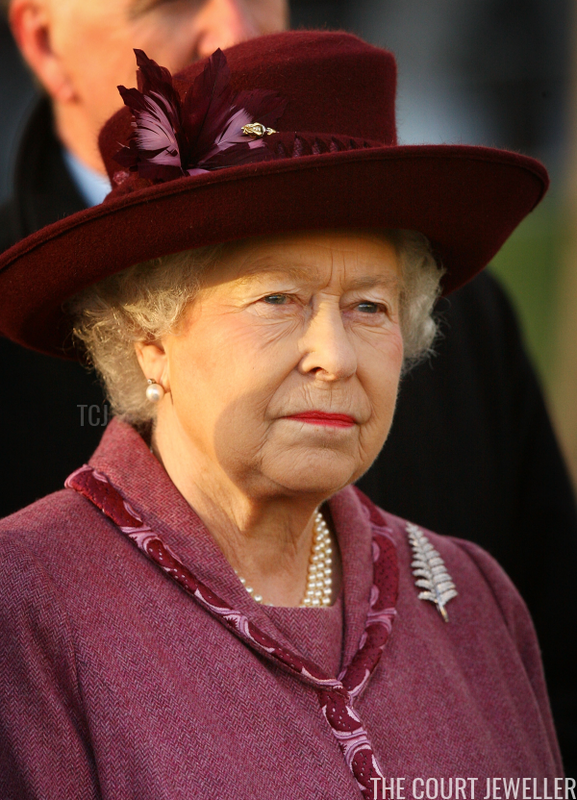 In November 2006, she donned the brooch for the official dedication of the New Zealand Memorial at Hyde Park Corner in London. Two years later, she wore the brooch for a New Zealand tourism exhibition held near Tower Bridge in London. 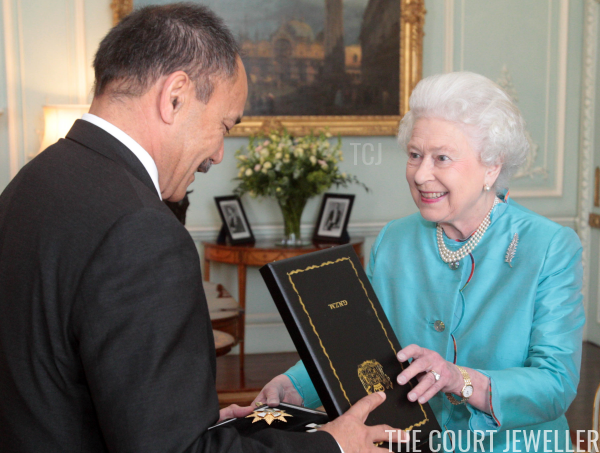 And in June 2011, she wore the brooch at Buckingham Palace as she officially appointed Sir Jerry Mateparae as an Additional Knight Grand Companion of the New Zealand Order of Merit. In April 2014, the Queen loaned the brooch to the Duchess of Cambridge to wear during her visit to New Zealand with the Duke and Prince George. 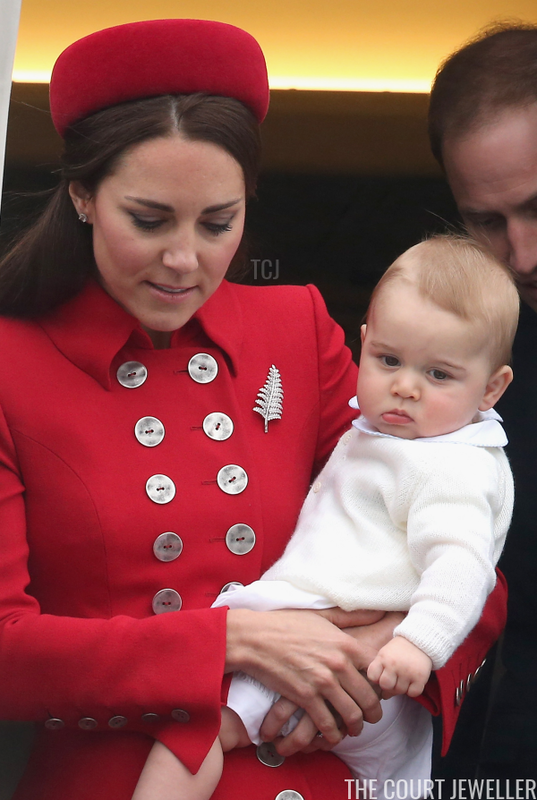 The photos of Kate wearing the brooch as she carried George off the airplane in Wellington have become iconic. She also wore the brooch as she participated in a hongi, a traditional Maori greeting, during a welcoming ceremony at Government House in Wellington. 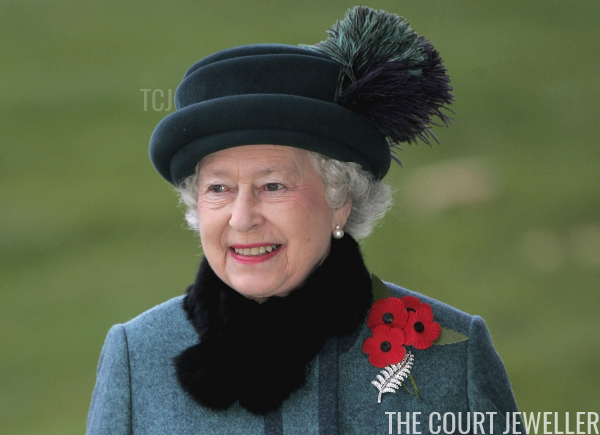 The Queen, interestingly enough, also made an appearance in the brooch on the same trip. 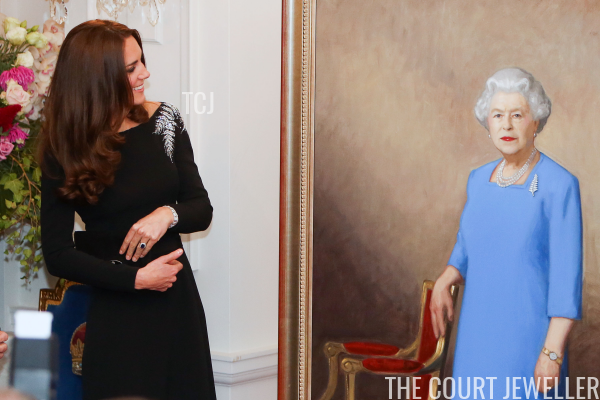 William and Kate unveiled Nick Cuthell's portrait of the Queen wearing the brooch at Government House in Wellington. Appropriately, Kate wore a gown with silver fern fronds embroidered on one shoulder for the reception where the portrait made its debut.